Ilia Stambler, PhD, is Chief Science Officer of “Vetek” (Seniority) Association – The Senior Citizens Movement (Israel). He received his PhD at the Department of Science, Technology and Society, Bar Ilan University, Israel. His research has focused on the historical and social implications of aging and life extension research. He is also involved in mathematical modeling of aging and aging-related diseases (https://ec.europa.eu/eip/ageing/commitments-tracker/a3/quantified-longevity-guide-qlg_en). 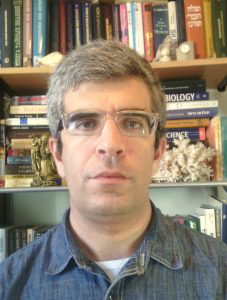 He is the author of A History of Life-extensionism in the Twentieth Century and Longevity Promotion: Multidisciplinary Perspectives (www.longevityhistory.com). He is actively involved in advocacy for aging and longevity research (www.longevityforall.org), and is chair of the Israeli Longevity Alliance (http://www.longevityisrael.org/) and executive committee member of the International Society on Aging and Disease (http://www.isoad.org/). His papers have appeared in Progress in Neurobiology, Aging and Disease, Cancer Detection and Prevention, Rejuvenation Research, Current Aging Science, Global Aging, Mechanisms of Ageing and Development, Frontiers in Genetics, Geroscience, and other journals. 1998–2002 MA in English Literature (with a thesis), English Department, Bar-Ilan University, Israel. Stambler I. Heroic Power in Thomas Carlyle and Leo Tolstoy.In: Political Leadership, SAGE Library of Political Science, 2011, edited by David S. Bell. Stambler I. Longevity and the Indian Tradition; Longevity and the Jewish Tradition; Longevity in the Ancient Middle East and the Islamic Tradition. In: Longevitize! : Essays on the Science, Philosophy & Politics of Longevity, Center for Transhumanity, 2013, edited by Franco Cortese. Stambler I. Human life extension: opportunities, challenges, and implications for public health policy. In: Anti-aging Drugs: From Basic Research to Clinical Practice, Royal Society of Chemistry, 2017, edited by Alexander Vaiserman. Stambler I. What do we need to know to treat degenerative aging as a medical condition to extend healthy lifespan? In: Transhumanism: In the Image of Humans. Springer Science, forthcoming 2018, edited by Newton Lee. Stambler I. Section editor. Science, Technology and Society – Biomedical; History of Gerontology. In: The Encyclopedia of Gerontology and Population Aging, Springer, forthcoming 2020, edited by Matthew Dupre and Danan Gu. Stambler I. History of Life-extensionism; Ethics of anti-ageing intervention. In: Encyclopedia of Biomedical Gerontology, Elsevier, forthcoming 2020, edited by Suresh Rattan. Guejes L, Zurgil N,Stambler I, Gilburd B, Shoenfeld Y, Deutsch M. The influence of different cultivating conditions on polymorphonuclear leukocyte apoptotic process in vitro, II: Ultrastructural characteristics of PMN populations incubated with proteinase 3 anti-neutrophil autoantibodies. Ultrastructural Pathology, 29, 37-51, 2005. Blokh D, Afrimzon E,Stambler I, Korech E, Shafran Y, Zurgil N, Deutsch M. Breast cancer detection by Michaelis-Menten constants via linear programming. Computer Methods and Programs in Biomedicine, 85, 210-213, 2006. Stambler I. Heroic Power in Thomas Carlyle and Leo Tolstoy.The European Legacy, 11, 737-751, 2006. Blokh D, Stambler I, Afrimzon E, Shafran Y, Korech E, Sandbank J, Orda R, Zurgil N, Deutsch M.The information-theory analysis of Michaelis–Menten constants for detection of breast cancer. Cancer Detection and Prevention, 31, 489–498, 2007. Blokh D, Zurgil N, Stambler I, Afrimzon E, Shafran Y, Korech E, Sandbank J, Deutsch M.An information-theoretical model for breast cancer detection. Methods of Information in Medicine, 47, 322-327, 2008. Blokh D, Stambler I, Afrimzon E, Platkov M, Shafran Y, Korech E, Sandbank J, Zurgil N, Deutsch M. Comparative analysis of cell parameter groups for breast cancer detection. Computer Methods and Programs in Biomedicine, 94, 239-249, 2009. Stambler I. Life extension – a conservative enterprise? Some fin-de-siècle and early twentieth-century precursors of transhumanism. Journal of Evolution and Technology, 21, 13-26, 2010. Stambler I. On the history of life-extension research: Does the whole have parts? Rejuvenation Research, 16, S41, 2013. Stambler I. The unexpected outcomes of anti-aging, rejuvenation and life extension studies: an origin of modern therapies. Rejuvenation Research, 17, 297-305, 2014. Stambler I. The pursuit of longevity – The bringer of peace to the Middle East. Current Aging Science, 6, 25-31, 2014. Stambler I and Khaltourina D. Biology of Aging and Non-Communicable Diseases as a Global Priority. Global Aging 9 (2), 11-14, 2014. Jin K, Simpkins JW, Ji X, Leis M and Stambler I. The critical need to promote research of aging and aging-related diseases to improve health and longevity of the elderly population. Aging and Disease, 6 (1), 1-5, 2015. Stambler I. Stop Aging Disease! ICAD 2014. Aging and Disease, 6 (2), 76-94, 2015. Blokh D and Stambler I. Information theoretical analysis of aging as a risk factor for heart disease. Aging and Disease, 6 (3), 196-207, 2015. Blokh D and Stambler I. Applying information theory analysis for the solution of biomedical data processing problems. American Journal of Bioinformatics, 3 (1), 17-29, 2015. Stambler Elie Metchnikoff – the founder of longevity science and a founder of modern medicine: In honor of the 170th anniversary. Advances in Gerontology, 28 (2), 207-217, 2015. Stambler Has aging ever been considered healthy? Frontiers in Genetics. Genetics of Aging, 6, 00202, 2015. Blokh D and Stambler I. The application of information theory for the research of aging and aging-related diseases. Progress in Neurobiology, 157, 158-173, 2017. Rogatsky GG and Stambler I. Hyperbaric oxygenation for resuscitation and therapy of elderly patients with cerebral and cardio-respiratory dysfunction. Frontiers in Bioscience, Scholar Edition, 9, 230-243, 2017. Stambler I. Recognizing degenerative aging as a treatable medical condition: methodology and policy. Aging and Disease, 8(5), 583-589, 2017. Stambler I, Jin K, Lederman S, Barzilai N, Olshansky SJ, Omokaro E, Barratt J, Anisimov VN, Rattan S, Yang S, Forster M, Byles J. Aging health and R&D for healthy longevity must be included into the WHO Work Program. Aging and Disease, 9(1), 1-3, 2018. Stambler I. Ingenium. Five Machines that Changed the World by Mark Denny. Review. The European Legacy, 13, 260-261, 2008. Stambler I. Beyond the Hoax by Alan Sokal. Review. The European Legacy, 13, 793-794, 2008. Stambler I. Elie Metchnikoff and the Rise of the Life-extensionist Movement. The 8th Yearly Conference of theIsrael Society for the History and Philosophy of Science, Jerusalem, March 16, 2008 (Invited Speaker. Organizer of the panel: “To postpone the inevitable: Historical, Sociological and Research Aspects of Anti-aging”). Stambler I. Society for life extension? Some ideological justifications for the pursuit of longevity. The Future of Humanity: Post-Humanism and Trans-Humanism.The Van Leer Institute in Jerusalem, October 24, 2011 (Invited speaker. Member of the conference organizing committee). Stambler I. A history of life-extensionism in the 20th century. Between reductionism and holism: from subtraction and addition toward balance. The 12th Yearly Conference of theIsrael Society for the History and Philosophy of Science, Jerusalem, March 11, 2012 (Oral). Stambler I. Political positioning of healthy life extension. Eurosymposium on Healthy Ageing. A new age of long term health and longevity. Brussels, December 12-14, 2012 (Invited speaker). Stambler I. The unexpected outcomes of lifespan extension studies: an origin of modern therapies. The 8th European Congress of Biogerontology, Beer Sheva, March 10-13, 2013 (Invited speaker. Member of the congress organizing committee). Stambler I. On the history of life-extension research: Does the whole have parts? Sixth SENS Conference (SENS6). Reimagine Aging. Queens’ College – Cambridge UK, September 3-7, 2013 ( Panel Chair). Stambler Blokh D. Application of information theory to assess biomarkers of aging. From Biology of Aging to Longevity and Quality of Life. Conference toward the renewal of the activities of the Israeli Society for the Biology of Aging, Tel Aviv, October 1, 2013 (Oral. Chair of the conference organizing committee). Stambler I. The Pursuit of Longevity – The Bringer of Peace to the Middle East. International Istanbul Initiative on Ageing, Istanbul, October 4-6, 2013 (Oral). Stambler I. The need for public support for aging and longevity research. Pathways to Healthy Longevity. Israel Science Day, Bar Ilan University, Ramat Gan, Israel, March 26, 2014 (Invited Speaker. Member of the Conference Organizing Committee). Stambler Biology of Aging as a Basis for Future Treatment of Non-communicable Diseases and Health Care for the Aged. IFA 12th Global Conference on Ageing, Hyderabad, India, June 10-13, 2014 (Invited Speaker. Organizer of the Symposium: “The Aging Process as the Main Underlying Cause of Non-Communicable Diseases: Science and Policy”). Stambler I. The use of information theory for the study of aging, aging related diseases and healthy longevity. 2014 International Conference on Aging and Disease (2014 ICAD), Beijing, China, November 1-2, 2014 (Invited Speaker. Panel Chair). Stambler I. The relation of Longevity Research and General Medicine – an Historical Overview. The ELPI Third Symposium on Pathways to Indefinite Lifespans and Metchnikoff Day. Larnaca, Cyprus. May 22-23, 2015 (Invited Speaker). Stambler Recognizing degenerative aging as a treatable medical condition: methodology and policy. Biomedical Innovation for Healthy Longevity — International Conference. St. Petersburg, Russia. April, 25-28, 2016 (Invited speaker. Panel Chair). Stambler I. 3rd International Practical Applications for Aging Research Forum at the Basel Life Science Week. Basel, Switzerland, September 21-22, 2016 (Invited speaker. Co-chair of the Panel Discussion: Current Issues in Aging & Longevity). Stambler I. The critical need to promote research of aging. 2016 International Conference on Aging and Disease (2016 ICAD), Stanford, California, US, October 1-2, 2016 (Invited Speaker. Panel Chair. Organizer of the panel: “Public support for aging research”). Stambler I. The Quantified Longevity Guide – QLG. MIXiii Biomed 2017 – Israel 16th National Life Sciences & Technology Week, Tel Aviv, Israel, May 23-25, 2017 (Invited Speaker. Panel: Longevity – Genetics and Epigenetics). Stambler I. Addressing degenerative aging as a medical condition – a national priority. 3rd International Conference on Personalized Medicine and Global Health. Astana, Kazakhstan, September 15, 2017 (Invited Keynote Speaker). Stambler I. Diagnosis of aging = Early detection of aging-related diseases. Pathways to Healthy Longevity 2017, Bar Ilan University, Ramat Gan, Israel, October 15, 2017 (Invited Speaker. Member of the Conference Organizing Committee. Panel Chair. Organizer of the panel: Measures of Healthy Longevity). Stambler I, Blokh D, Mizrahi EH. New methods for the diagnosis of old-age multimorbidity. 2018 International Conference on Aging and Disease (2018 ICAD), Nice, France, October 5-7, 2018 (Invited Speaker). Zealley B, de Grey A.D.N.J. Commentary on Some Recent Theses Relevant to Combating Aging: December 2012. Rejuvenation Research 15(6), 629-630, 2012. Pellissier H. Five Star Reviews for Ilia Stambler’s “History of Life Extension in the 20th Century”. Brighter Brains, October 03, 2014. The book was featured in Huffington Post, Blasting News, KurzweilAI.net, Institute for Ethics and Emerging Technologies (IEET), H+ Magazine, Fight Aging, etc. Featured in Fight Aging, Serious Wonder, Institute for Ethics and Emerging Technologies (IEET), H+ Magazine, LEAF, KurzweilAI.net, etc.